Location :	It is 220 to 440 km off the Malabar Coast in Kerala, India. The islands are located in the Arabian Sea and around 220 to 440 km from Kochi in Kerala. Population : The population is only 60595 as per 2001 census, of which 95% are Muslims. Ethnically they are similar to the people of Kerala. They speak a dialect of Malayalam except in Minicoy where “Mahl” a form of Divehi is spoken. 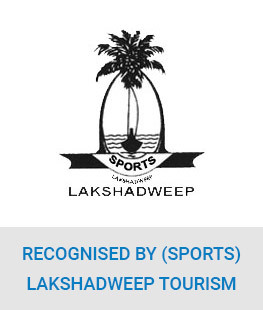 The total population of Lakshadweep is 64,429 according to the census of 2011. Languages : Malayalam & Mahl. The mother tongue of the local people of the islands of Lakshadweep other than the Minicoy islands is Malayalam. The people of Minicoy speak Mahl. The migrants in Lakshadweep speak languages like Bengali, Hindi, Urdu, English, Gujarati, Oriya and Tamil. How to get there :	Four all weather ships M.V. Bharatseema ,M.V Tipusultan, M.V Aminidivi and M.V Minicoy operate between Kochi and the islands. Air India also operate flight from Kochi to Agatti Island every day except sunday. Boarding & Lodging :	Accommodation is available in Kavaratti, Minicoy, Bangram, Thinnakara and Kadmat Islands. Food & Cuisine :	Spiced coconut used in gravy besides fried and barbecued fish. 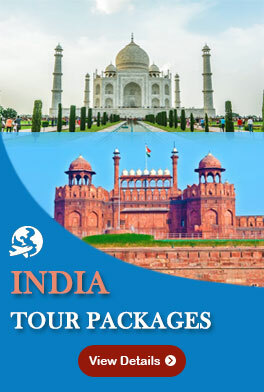 Tourist Season : From Mid-September to mid-May for the cruise tour packages. Bangaram Island may be visited throughout the year by helicopter. Things to do :	One goes to Lakshadweep for leisure, relax and enjoy water srports. There are plenty of opportunities for Scuba diving, Yachting, Pedal boating, Kayaking, Canoeing, Swimming, Snorkeling and sunbathing. Things not to do :	Consumption of alcoholic beverages is prohibited in all islands. Picking up Corals is a punishable crime. Arts And Crafts :	Crafts made of coir are worth buying for tourists.There are abundant handicrafts made of corals, shells & oysters, which are skilfully crafted by the locals and used in decorative items and jewellery. Music and Dance :	Kolkali dance, Parichakali dance and Lava dance are popular. The popular Muslim dance of Kerala called ‘Opana’ can also be enjoyed during marriage celebrations in Muslim families.